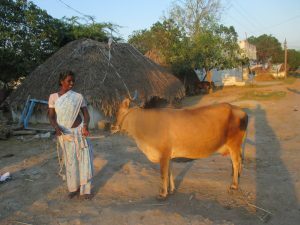 AMAIDI For Sustainable Development (http://amaidi.org), founded byCamille van Neer in 2006 in Bharathi Nagar near Auroville and Pondicherry, has been a steady source of international volunteers for REAL. 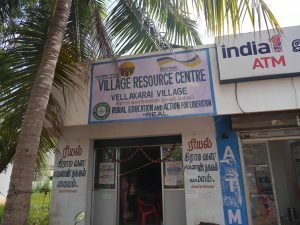 In india AMAIDI supports local communities in their sustainable development by linking local and overseas volunteers, interns and professionals with local Indian organizations supporting these communities, such as charitable NGOs, schools, care homes and hospitals. WILLEMIJN VEENENBOS- The very first volunteer that REAL had, was Ms. Willemijn. She was with us for a period of 3 months starting from February 2008 –May 2008. She came to support the Micro-finance programmes of REAL, the determinants affecting its success or non-success. SHUYI HU-Ms. Shuyi Hu worked as a volunteer with us from 13 May 2008-13 June2008. During her presence at Real she volunteered to conduct an economic analysis of our micro credit financing activity, through conducting personal as well as group interviews with the members of the SHG’S in the field and also staff members of the organization. Miss. Wu gained information about the socio-economic situation of the target groups as well as got to know about their take on the functioning of the training programmes run by Real amongst them. After her tremendous work at REAL for the period of 1 month, she was recruited by TNO Quality of life, where she managed to arrange for a donation amount of Rs. 15443/- on 15th february2010 which was later used for providing uniform for the marginalized children. We will always cherish her presence, and would be happy to have her anytime in future. She was so contributive to donate again Rs.10,015/- for the relief operations in the Thane cyclone disaster in the year 2012. She was always supportive to raise funds at the time of disaster. INGE RENCKENS- A resident of Netherland got an opportunity to work with Real for the time period from February 2009-May2009. She volunteered for the management of the MCU’S(Milk Chilling Unit) operating in Koonimedu. She also highlighted on the importance of training for the workers working in the MCU’S which include teaching them management skills, planning and various managerial skills which would fetch the workers greater profits in future. She was kind enough to donate Rs. 25,000 for the suggested training programme for the women working in the MCU’S. GETTY SCHULING-A lawyer by profession, came to Real for undertaking voluntary work. She being a lawyer thought of analyzes the application and awareness of human rights and different women’s right among the target groups specially women. 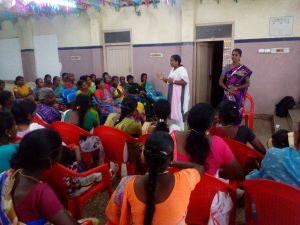 She prepared a report on analysis of the women’s situation and also compared the present situation with that of the past and future in Ennayiram,Kattumannarkoil and Marakanam. 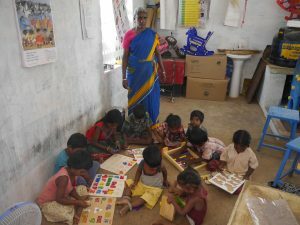 MS. LEONIE AND MS. MARLEEN-They were a part of the 3 weeks programme starting from July 7.The volunteers visited he Child Care Centers in Villupuram region and spent some quality time with the children there. They undertook different child care activities like teaching them the basic formal education lessons like alphabets, memory lessons like stories etc. Their major area of work was child development which was quite impressive and leisurely for the children of also. 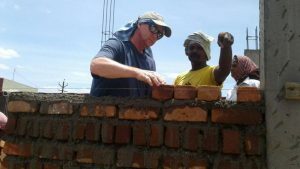 NEAL VAN DUIJN-A student of electrical engineering from Netherland, recommended by Amaidi Volunteering India, volunteered for the construction of the Ecosan Toilets at Chinna Mudaliar Chavadi. The volunteer was quite impressive and spontaneous at communicating with the rural community members. LIEKE ROZENDAL: currently being a Junior Programme Officer External Relations at Hivos International, Netherlands was here involved in internship activities during the year 2008. She was very cordial with our staff team and supported us in preparing the 20 years report on REAL activities right from the beginning. JOLIJN LE RUTTE-Ms. Jolijn was present here from 3rd to 21st August 2009 her presence was of great importance for us. She prepared an advisory report about renewing the official website of our organization and was also helpful in preparing proposals for different project undertakings. 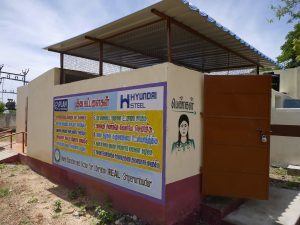 Being a member of project committee Asia, she has also supported REAL in the project “Tribal Women Development through Income Generation Programmes in Kalvarayan Hills of Villupuram District” for 2 year project (2010 to 2012) through Melania Foundation. STEPHANIE VOGELIUS-A native of Denmark decided to move out of her own space and experience something different and interesting. She worked at Real for the time period of October 2009-March 2010. 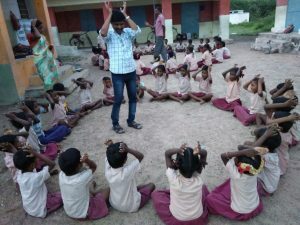 During her stay with us as a volunteer, she was fantastic with her skills in teaching English, Creative Arts to our children in our tribal target area, Kalvarayan Hills. She also proved to be of great help in initiating our fund raising strategy with the corporate sector in the Pondicherry region. We were quite pleased to have her here and it was a pleasure working with someone so enthusiastic. ANDREA WAGNER THOMSEN-Andrea was recommended to Real by Volunteer Aid Denmark, she came here as a volunteer for capacity building and volunteering for the social housing project undertaken by Real. Her period of work at Real was September 2009- December2009. PIA AND MARIA- were present at Real for the time period of April 2010-September 2010.Natives of Denmark came and extended their support towards fund raising activities for the children(specially girls),who were not able to attend school as a result of poverty and depression. The volunteers used an innovative technique of fund raising, instead of going the formal way they decided to raise funds through social networking, face book. They contacted their close friends on face book and explained them about the noble cause they were part of. They received tremendous response on face book and they managed to collect donation amount of Rs. 36,412,which was used for providing the children with uniforms and this noble gesture enabled us to support 96 girls,20 drop out girls and 19 drop out boys so that they could continue their education and attend school regularly without any break. The volunteers also contacted Lions Club Denmark for receiving their support for an education programme helping a lot of deprived children, and they managed to get a donation of Rs.42, 675, which was tremendous. JULIE HUUSOM- Yet again we have volunteers from Denmark trying to do their bit for the goodness humanity. Miss Julie joined Real as volunteer and worked for the month of October 2010. 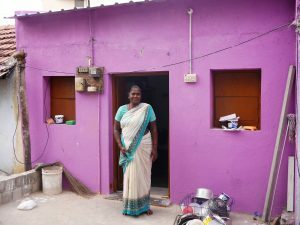 During her stay here she volunteered for the designing of a lost cost house for one of the rural beneficiary in Marakanam village, Villupuram District, Tamil Nadu. ALFREDO FLUIXA- A volunteer from Spain. He came to join us during the summer of 2012 with the aim of sharing his financial knowledge with the people working in the microfinance field. He learned how self-help groups work, their aims and goals (a different way of promote the progress than in the western countries). He also provides his support by teaching and reinforcing the educational performance of the children whose families have not enough resources to pay a private education. He was a great support to our REAL organization and we really appreciate his work with us in all the different fields and projects. BLANCA BALASCH- Again a volunteer from Spain interested to deal with our programmes through Alfredo work was here with us for 2 months from the month of November 2012 till January 2013. She was really greatly involved in children and women empowerment programmes in Marakanam Region of Villupuram District. She raised Rs.56,947/- through facebook sharing our video presentation which was utilized for organized medical camp in Ennayiram region with the association of Sri Venkateswara Medical Institute. 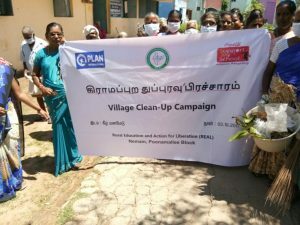 Also, 300 children were provided with new school bags in Melguddalore, Esalam, Brammadesam and Thirunanthipuram villages of Villupuram District. As a part of Bridge Builder Programme, two volunteers from Germany staying here with us for about 8 months every year in developing the inter-cultural learning and to support our organizational initiatives for teaching poor children at schools, supplementary education and recreation centres. They were especially concerned in teaching English, Arts and Crafts to the children in Kattumannar Koil region. RAY BRILLINGER – Management consultant from Canada who has advised and supported REAL since 2011, with strategic planning, programmes and organizational development. He came to know about REAL through PLAN International (PLAN Canada) and is now also supporting REAL’s projects work through Village Outreach Society (VOS) Canada, concerned with reaching the salt pan workers families with good education and healthy environment.